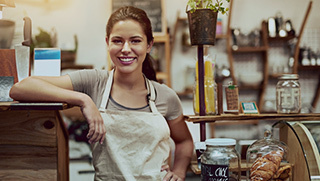 Managing your small business tax compliance obligations is one of the most important responsibilities when starting a new business and a major part of this is lodging your tax return every financial year. How and when you lodge your tax return to the Australia Taxation Office (ATO) depends on the structure of your business. Here’s our tax help guide to small business tax returns for each business structure. Lodge by yourself: Your return is due by 31 October each year. Lodge through a registered tax agent: Registered tax agents operate on their own lodgement schedule. Your agent will be able to tell you the date by which your return must be completed, but you must be registered with an agent by 31 October. Tax tip: As a sole trader you are required to fill out a separate section on the individual tax return called the business and professional items schedule for individuals. Lodge by yourself: Your partnership tax return must be lodged by 31 October. Lodge through a registered tax agent: They’ll tell you when you can lodge. Tax tip: The partnership itself does not pay tax on the income it earns. A partnership tax return simply reports the partnerships’ net income, which is its income minus any expenses and deductions. Individual partners in the business then file an individual tax return and pay tax on their share of the income generated from the partnership. Note: A company’s income is separate from your personal income. So if you’re a director of a company, you will still need to lodge an individual tax return to report your personal income (e.g. salary earned from the company). Lodge yourself: Company tax returns lodgement dates vary. The majority of company tax returns will be due 28 February. We recommend you check the ATO website for your specific date. Tax tip: If you don’t lodge your previous financial year return on time, your company tax return is due by 31 October. Tax tip: Trusts typically do not pay tax. A trust tax return simply reports the trust’s net income, which is its income minus any expenses and deductions. Income earned from the trust is then passed onto trust beneficiaries who then lodge their own individual tax returns to pay tax on the income earned from the trust. Lodge by yourself: Your trust tax return must be lodged by 31 October. For more information and small business tax help visit our end of financial year hub.